Edina Liquor eCommerce and Delivery services is ‘fee free’: no delivery fees, transaction fees or gratuity applied to any order placed through Edina Liquor eCommerce store front. A minimum order of $35.00 (pre-tax) is required for Edina Liquor’s free delivery service. There are no order minimums for in-store pickup. Delivery hours are available 3:00 p.m. to 8:00 p.m. Monday through Friday, 12:00 p.m. to 8:00 p.m. Saturday and 12:00 p.m. to 5:00 p.m. Sunday. Delivery orders will be fulfilled within 2 hours of the order being confirmed by Edina Liquor unless specific delivery times have been requested by the customer. Customers will be required to activate a customer account for eCommerce and Delivery services that will include, full name, birthdate, contact phone number and address, email is recommended but not required. Orders can only be placed online, call in orders will not be accepted. Edina Liquor reserves the right to refuse service before or at the time of delivery. Edina Liquor complies with all state and local laws regarding the control and sale of alcohol. Orders placed after delivery hours will be fulfilled the next business day. Orders may be placed up to 2 weeks in advance. Orders for delivery placed after 6 p.m. will not be guaranteed for same day delivery though our goal is to fulfill all orders same day. If an order is placed after 6 p.m. and Edina Liquor cannot deliver same day, the customer will be given the option of picking up in-store, scheduling delivery for the following business day or canceling the order with a full refund. If a customer misses their delivery time, Edina Liquor will contact the customer who placed the order to arrange a new delivery time.  If Edina Liquor is unable to get in contact with the customer after 2 hours of the order being placed or before close of delivery operations, Edina Liquor will hold the order for the next business day. The order will be canceled with a full refund after 48 hours of inactivity. eCommerce orders for instore pick will be available from 11:00 a.m.- 9:00 p.m. Mon-Sat and 11:00 a.m. - 5:00 p.m. Sunday. No order can be picked up after 10:00 p.m. Monday - Saturday or after 6:00 p.m. Sunday. An order for in-store pick up will be returned and refunded after 72 hours of inactivity. Age verification will take place during the online order and verified again at the time of pickup or delivery. eCommerce and Delivery orders will be regulated the same as an in-store purchase and will require the customer(s) to be 21 years of age or older. Edina Liquor employees will verify the ID of the customer matches the customer name and payment information used to place the initial order through Edina Liquor eCommerce site. If the ID does not match the customer profile, the order will be canceled with a full refund back to the customer that placed the initial order. All eCommerce orders for in-store pickup will be completed at the point of sale inside of an Edina Liquor location. Curbside pickup is not authorized in the State of Minnesota. Orders placed for delivery before 3:00pm Mon- Fri or before 12:00pm Sat and Sun will be prioritized as first stops when delivery hours open. Requests for special deliveries outside of normal delivery hours will be considered on a case by case basis. Requests must comply with all state and local laws regarding the control and sale of alcohol to be considered. Requests for out of scope delivery can be sent to edinaliquor@edinamn.gov please provide items of interest, date, time desired and location.